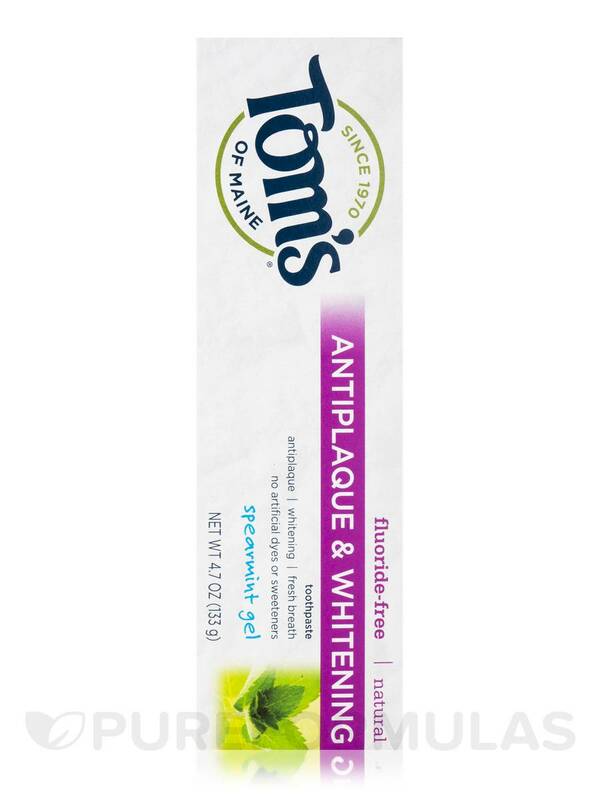 Fluoride-Free Antiplaque & Whitening Toothpaste Gel by Tom's of Maine foams up quick and has a great spearmint taste. 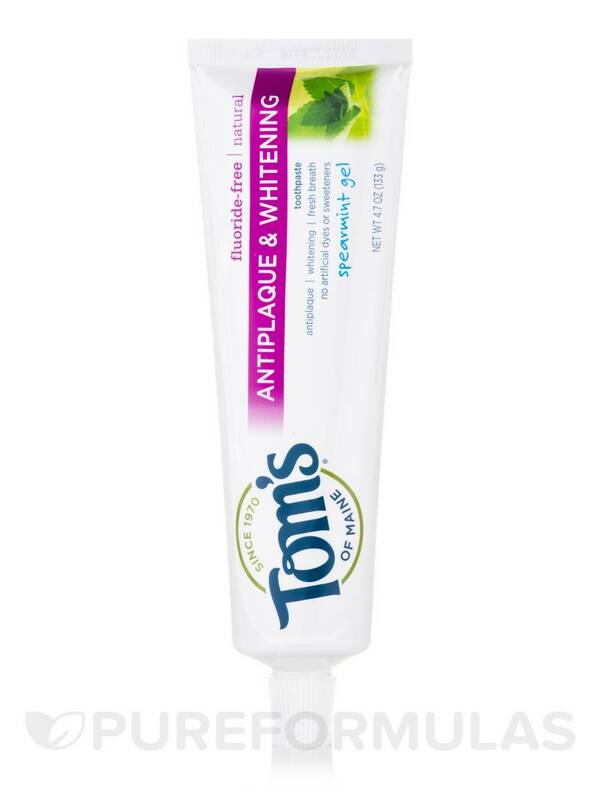 After using it for three weeks I do notice a different shade of white on my teeth. Embrace the Power of Mother Nature! 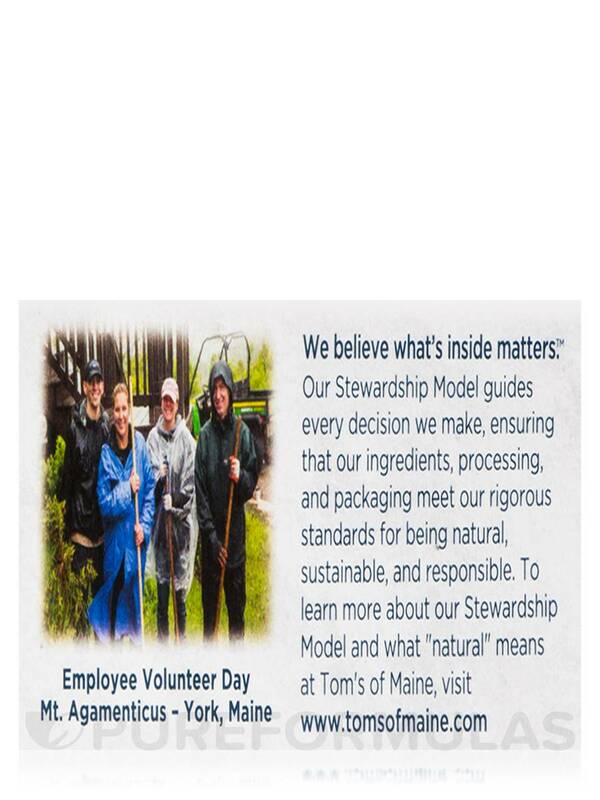 At Tom's of Maine that means authentic‚ natural ingredients. 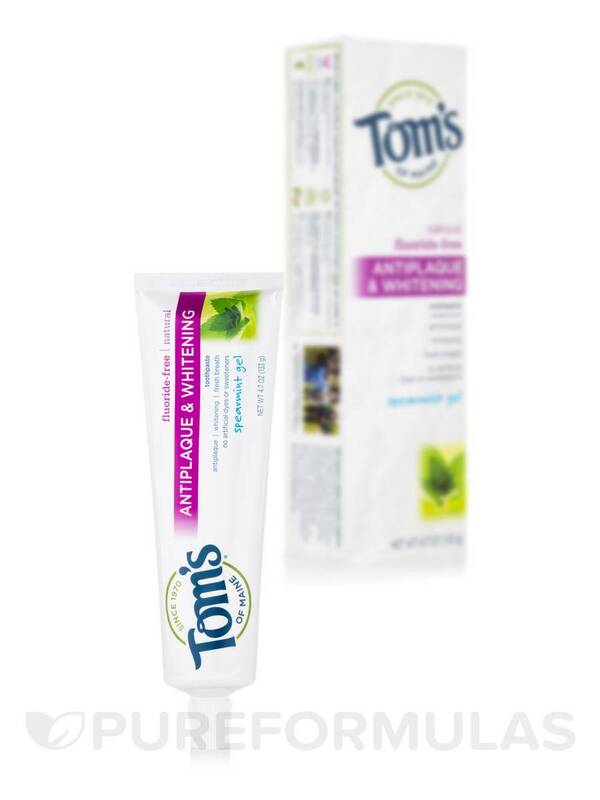 In this Antiplaque & Whitening toothpaste Tom's of Maine use zinc citrate sourced from zinc – a naturally occurring mineral – and xylitol‚ a natural ingredient derived from birch trees or corn. 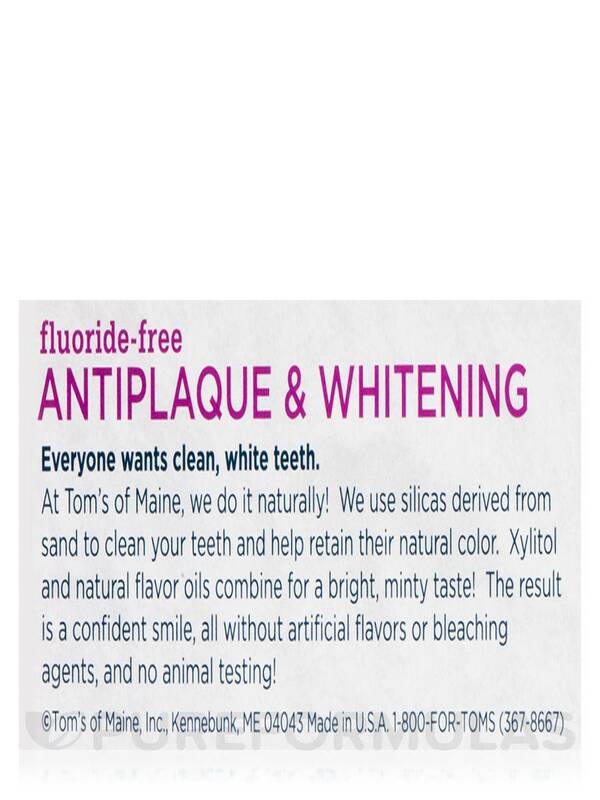 Plus‚ natural flavors for a taste that will make you look forward to brushing! 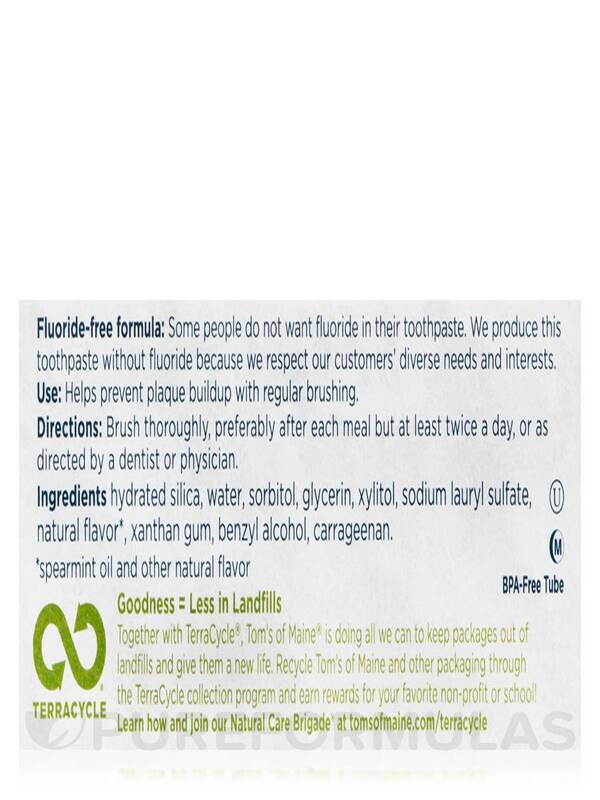 Hydrated silica‚ water‚ sorbitol‚ glycerin‚ xylitol‚ sodium lauryl sulfate‚ natural flavor*‚ xanthan gum‚ benzyl alcohol‚ carrageenan. 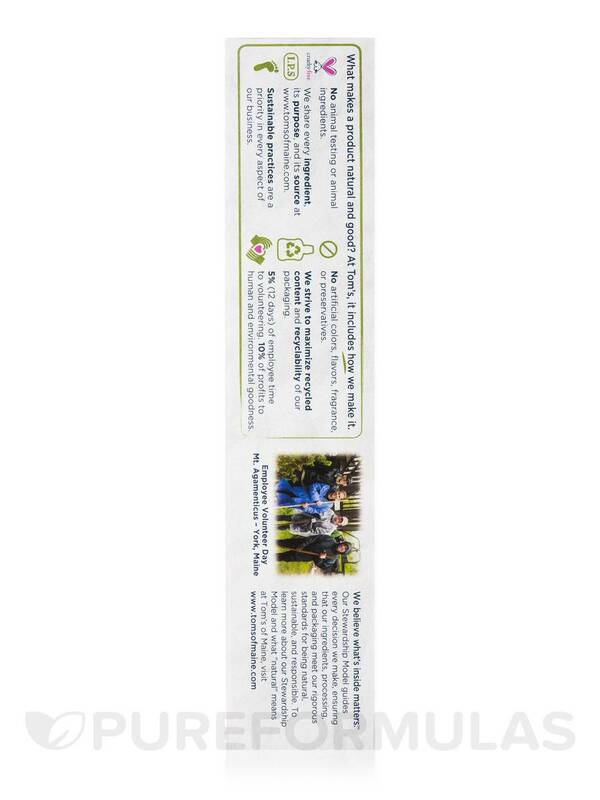 *Spearmint oil and other natural flavor. 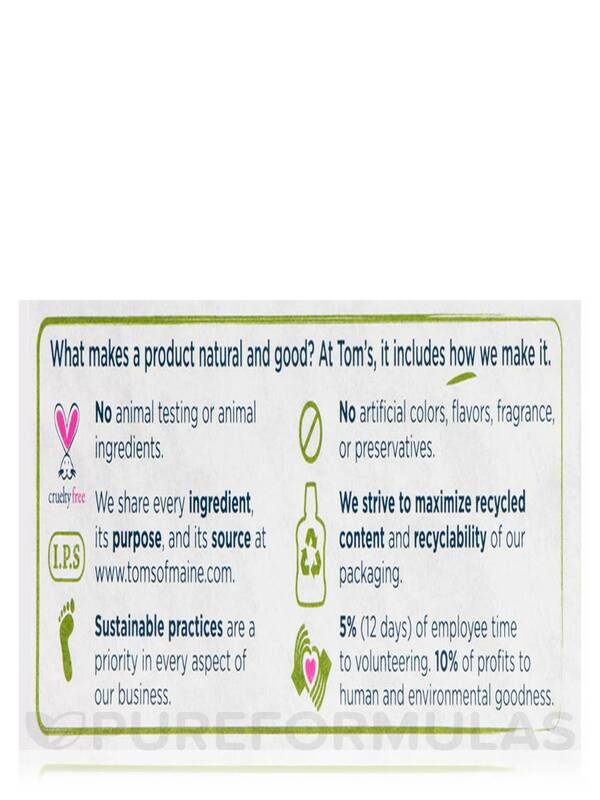 Kosher / BPA-Free Tube / Cruelty-Free / No Animal Testing / No Animal Ingredients / No Artificial Colors / No Artificial Flavors / No Artificial Fragrance or Preservatives / No Artificial Dyes or Sweeteners. 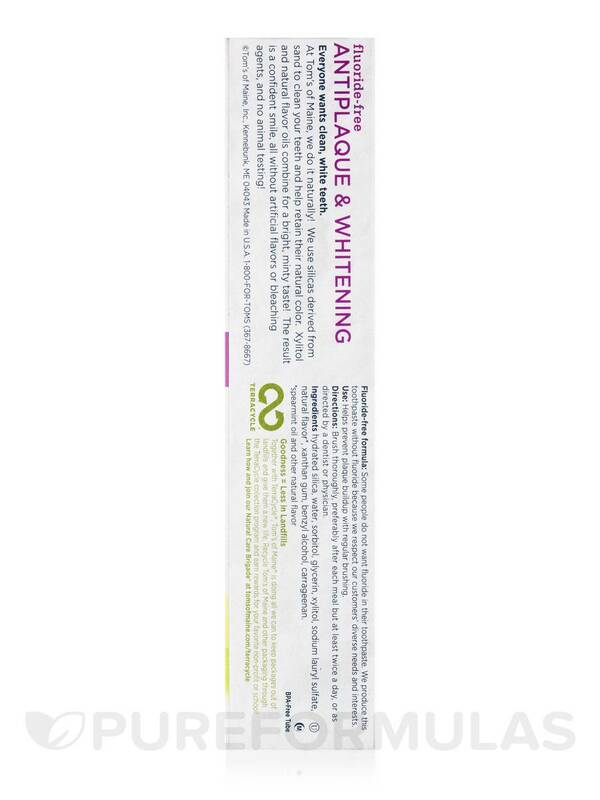 Brush thoroughly‚ preferably after each meal but at least twice a day‚ or as directed by a dentist or physician. 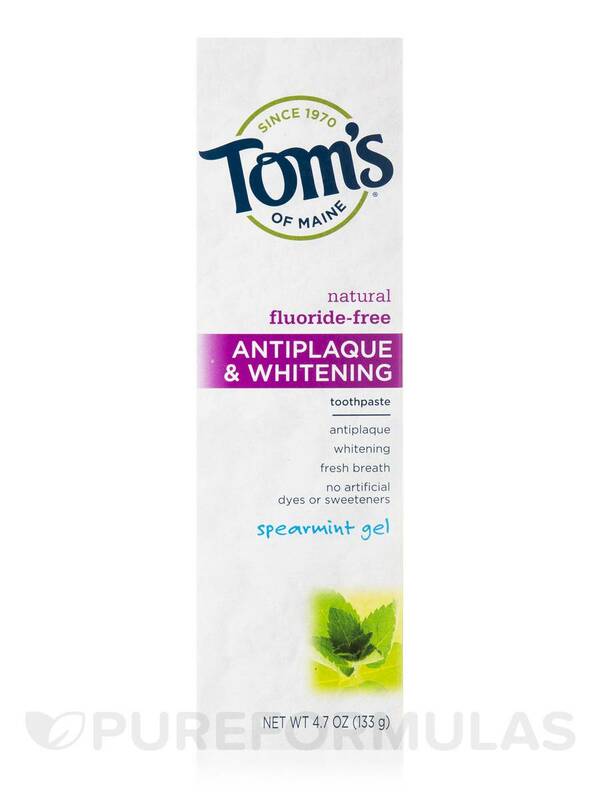 This Fluoride-Free Antiplaque & Whitening Toothpaste Gel by Tom's of Maine is fantastic. 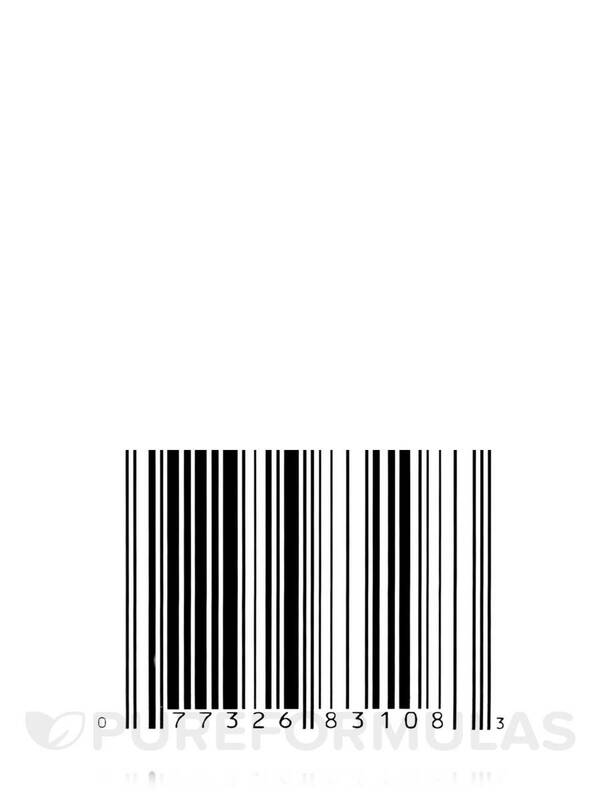 I love its spearmint flavor which is not too strong and it has a nice long aftertaste of freshness.